WHEELCHAIR-BOUND Springvale South residents are dodging cars daily and fear a death is inevitable, following several serious-injury collisions. Able Australia team leader Anne Taylor said an increase in traffic around AUDA House, on Springvale Road, was prompting calls for a new pedestrian crossing, signage alerting drivers to wheelchairs, a longer walk-light at the Athol Road intersection and footpath repairs. 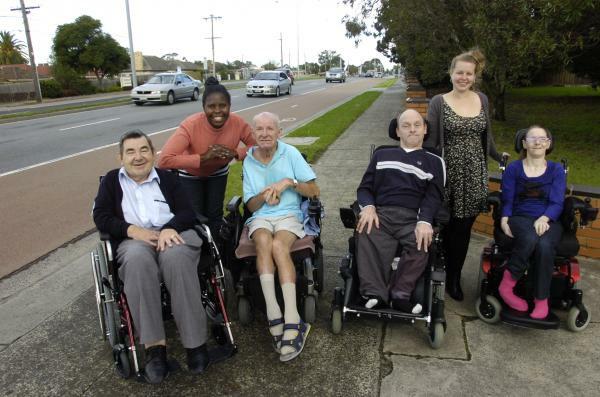 “Getting to Athol Road is quite difficult for them because of the state of the footpaths,” she said of patients at the disability unit for cerebral palsy sufferers. She said the pedestrian-light sequence at the intersection was quite short, and drivers often didn’t see the wheelchairs. “They’re often still crossing when the light turns red, they can’t move fast enough,” she said. Collisions have resulted in minor scrapes and bruises, a broken leg, and one patient needing his hips and part of his femurs removed. Ms Taylor said the most recent accident was about four years ago, but she fears another one is inevitable. Temples have opened on either side of AUDA House, causing an increase in traffic. She said a crossing closer to the facility and away from an intersection, to remove driver confusion, would be the safest outcome. Lightwood Ward councillor Sean O’Reilly raised the issue at the 11 June City of Greater Dandenong council meeting. “This intersection is near to a school and shopping centre, so the traffic flow is quite dense and fast-moving,” he said. He said a new crossing would also assist access to the growing Hoa Nghiem temple. Engineering services director Bruce Rendall said a preliminary assessment indicated a mid-block crossing would seem sensible given the distance between the signals at Athol and Heatherton roads. 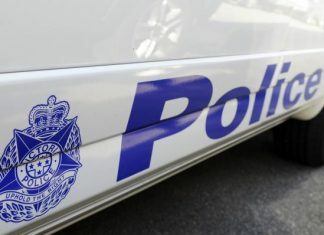 “We will propose that officers contact VicRoads staff directly advocating the matter,” he said. He also suggested a letter from the mayor Angela Long to Roads Minister Terry Mulder. “And we would also believe it would be worthwhile if Able Australia was to write directly to the Minister,” he said.